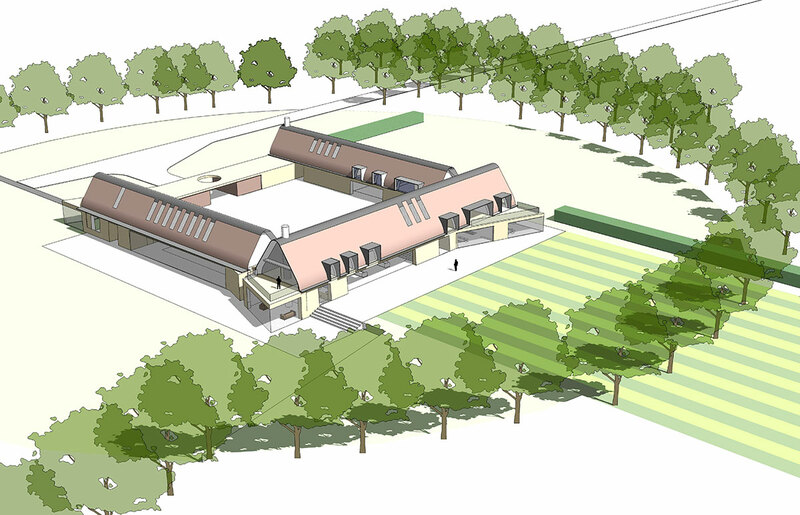 A very interesting project for a large country house with a strong agricultural bias. The various elements of the house – the main dwelling, the leisure wing with indoor pool, the service wing with garaging, wood store etc. – are arranged around a large gravel forecourt, quite French in effect. 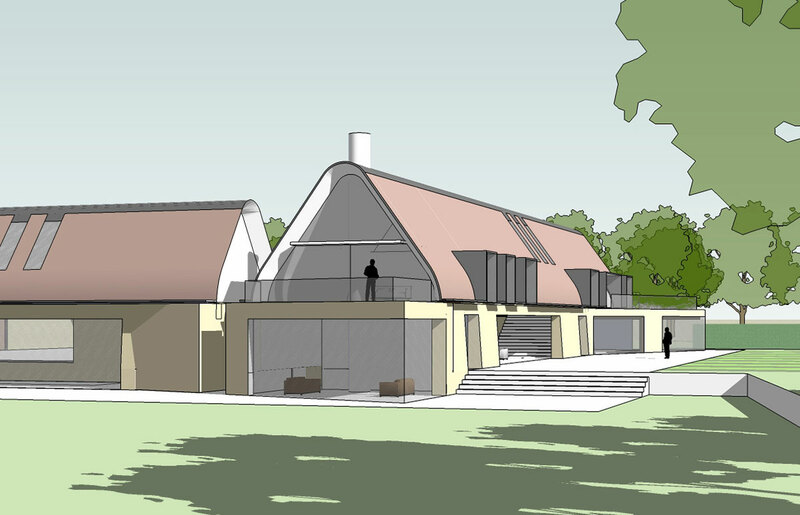 The buildings themselves are a contemporary upgrade of the classic barn model: a steep double-pitched roof runs over a long linear stone-walled ground floor space. But the forms have become stream-lined and sleek, and the walls pop out and disappear to create huge glass openings to the living spaces and pool hall.